Join Urban Kai for the perfect guided tour featuring a beautiful preserve right behind our shop! 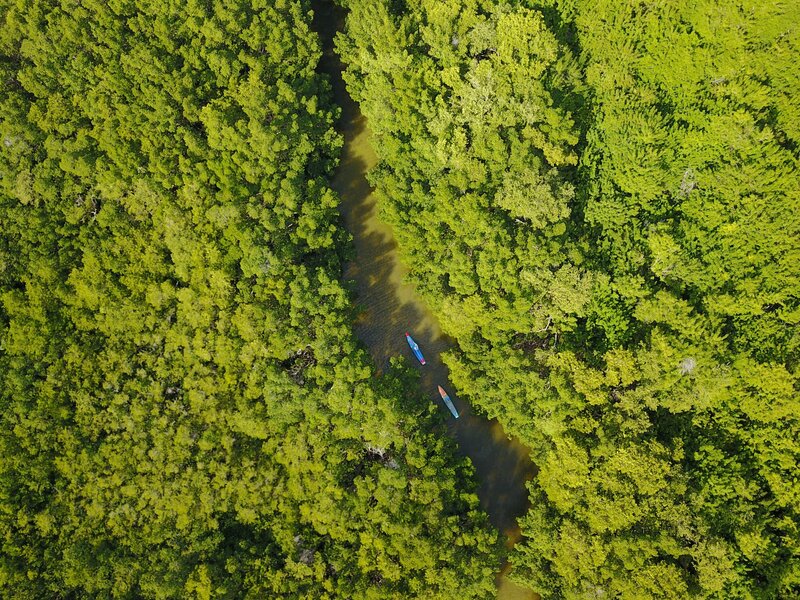 You will paddle around spectacular mangroves, with wildlife including manatee, dolphins and birds. The paddling trail provides an up-close look at these amazing ecosystems and seagrass beds. Cost = $35 includes board, paddle, PFD and pictures. Call if you prefer a kayak.